Time to sell your Resort Conference Center condo? Read about today's resort-market condo buyer. Resort Conference Center condos are located in the Kiva Dunes and Gulf Shores Plantation community off of Fort Morgan rd. 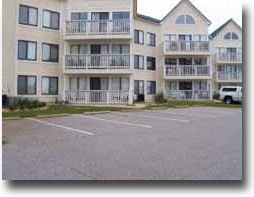 These condos are approximately 14 miles West of Hwy. 59 and State Hwy. 180 or Fort Morgan rd. Amenities for the Resort Conference Center include an indoor heated pool, kiddie pool, gulf front pool, exercise room, BBQ area, gazebo, spa / hot tub, steam room / sauna and a tennis / racquetball area. The Resort Conference consists of 107 individual condos built in 1985 and floor plans range from 1 bedroom condos at 540 square feet to 2 bedroom condos at 800 square feet. Please let us know if you would like further info for the Resort Conference Center or any other condos, homes or real estate along the Gulf Coast or would like to schedule a private viewing by emailing info@condoinvestment.com or by calling (251) Area-Pro (251-273-2776) for immediate assistance.